AQUILA was designed by Christopher Seymour in close cooperation with design consultant Carl Esch, and features interior styling by the acclaimed Evan K Marshall. 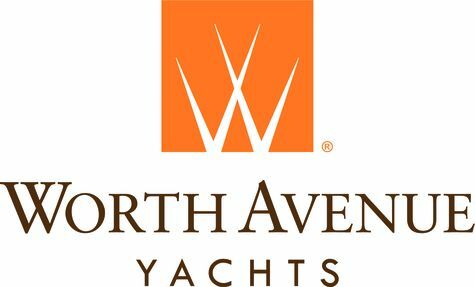 Part of The Worth Avenue Yachts Collection, this yacht is designed for a shipyard build of the clients choice. Seymour has produced versatile concepts to suit the tastes of his clients ­ranging from the traditional to the radical. This provides bold inspiration for any owner looking to stand out from the crowd. Equally focused on engineering and creativity, the concepts in Christopher Seymour Designs' portfolio mixes advanced hull forms to the latest propulsion systems. AQUILA was designed by Christopher Seymour in close cooperation with design consultant Carl Esch, and features interior styling by the acclaimed Evan K Marshall. Part of our Company Collection, this yacht is designed for a shipyard build of the clients choice. Seymour has produced versatile concepts to suit the tastes of his clients ­ranging from the traditional to the radical. This provides bold inspiration for any owner looking to stand out from the crowd. Equally focused on engineering and creativity, the concepts in Christopher Seymour Designs' portfolio mixes advanced hull forms to the latest propulsion systems. If signed today, the project would be complete by 2022. Zero speed stabilizer non-retractable (design speed 12.5 knots). • Waste heat recovery for potable water, whirlpool heating and HVAC reheating.